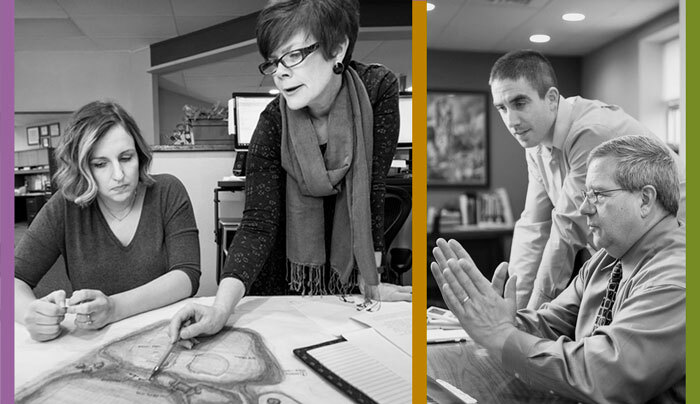 When SPVV Landscape Architects came to helveticka for help redesigning its website, the Spokane-based firm had more than just an aesthetic update in mind. For one thing, it isn’t always obvious what, exactly, a landscape architect does. For another, the previous site did little to showcase individual personality; some sense of what it’s like to actually work with SPVV. And after just one meeting with them, it immediately became apparent that they had much more to offer than shrubs and trees. In other words, simply expressing the usual expertise and capabilities – an easy trap to fall into with website design – would have been doing them a huge disservice. What came out of the process is a website that looks a lot less like a typical service company’s site and a lot more like SPVV itself: bold, dynamic, creative, friendly, and engaging – and not afraid to talk about itself in language that everyone can understand. helveticka provided design, writing, programming, and project management for the site.